Six-second videos have maximum impact on brand awareness, finds a new Magna study. Geico has in recent years found inventive ways to challenge the skippable format of pre-roll video advertising. But a recent study from Magna has found that even skipped pre-roll ads can increase brand awareness. The report, called "Turbo Charging Your Skippable Pre-Roll Campaign," analyzed behaviors around ad skipping and identified ways advertisers can maximize the impact of their pre-roll ads. The IPG Mediabrands unit studied the online viewing habits of 11,338 users, using webcams, eye-tracking sensors and surveys to measure attention, emotional response and time spent with up to three 30-second pre-roll ads. "There isn’t a lot of research out there on how to best create ads for a skippable digital environment," said Shelly Rose, research director of intelligence solution and strategy at Magna. "It was a goal of this study to provide some guidelines on what works best and what doesn’t." The study resulted in some good news for advertisers. Of the 65 percent of viewers that skipped their pre-roll ads, 10 percent could still recall the brand. The finding is significant, said Rose, considering that out of the 35 percent who watched the videos, the study found only 45 percent were able to recall the brand. Viewers displayed high levels of attention of pre-roll ads regardless of how much of the video they watched, found the study. "This indicates that there is still value in these type of ads," said Rose. The reasons behind why viewers skip pre-roll ads vary, but the study found that the majority of viewers aren’t skipping because of the content. In fact, only 14 percent skipped the ads because they said the ads were not relevant to them, while 76 percent said they skipped the ads simply because they had become conditioned to do so. However, the rate of viewership increases with purchase intent. The study found people who were in the market to buy what a brand was selling were more likely to watch the ad. But if they were not already interested in buying the product advertised, 30 percent of people said they would continue watching the ad only because it was short enough to wait. For that reason, Magna recommends brands supplement skippable pre-roll ads, which are usually 30-seconds, with six-second spots that don’t give viewers an automatic opt-out option. According to the agency, those spots are targeted towards people on smartphones who are usually on the go and perform better than those that are skipped. "In those first few seconds you have peoples’ attention," said Rose. "So, even if people skip, you have at least five seconds to make that impact as big as possible." 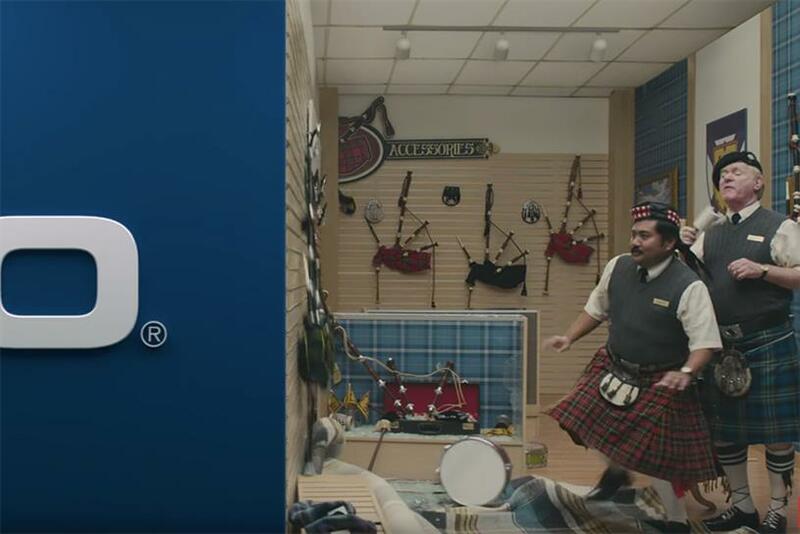 Geico has placed much consideration into its pre-roll ads. The brand has worked with The Martin Agency since 2015 to make pre-roll spots more enjoyable for viewers. Its 2015 "Unskippable" campaign, which made pre-roll spots impossible to skip because they were already over, won a Grand Prix-Lion at Cannes that year. And a campaign launched earlier this month crushed its ads down to 15-seconds, so people are less likely to skip them. But would the insurance brand reduce them down to six-seconds? Neel Williams, vp and creative director at The Martin Agency, said, "Even a 6-second ad can still be really annoying or boring. That’s why creative quality is so important. Geico has succeeded in the pre-roll space by tailoring our work directly to the medium and being very self-aware." Still, Cameron Ley, creative director at digital marketing agency Gale, stressed content creators need to simplify their messages. "If a brand cannot distill their story into 6 seconds, then it's too complicated to begin with," he said.